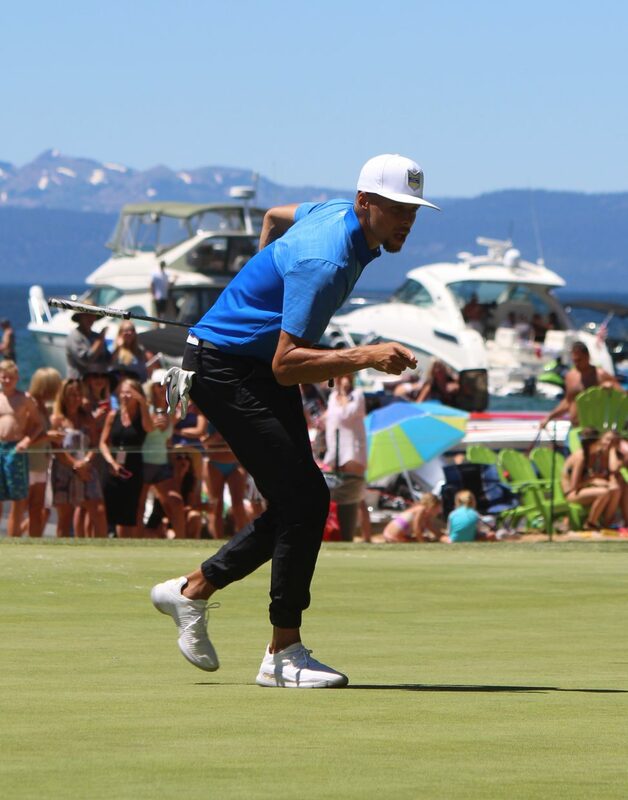 Steph Curry sinks a putt on hole 17 on Sunday during the 2017 celebrity golf tournament. 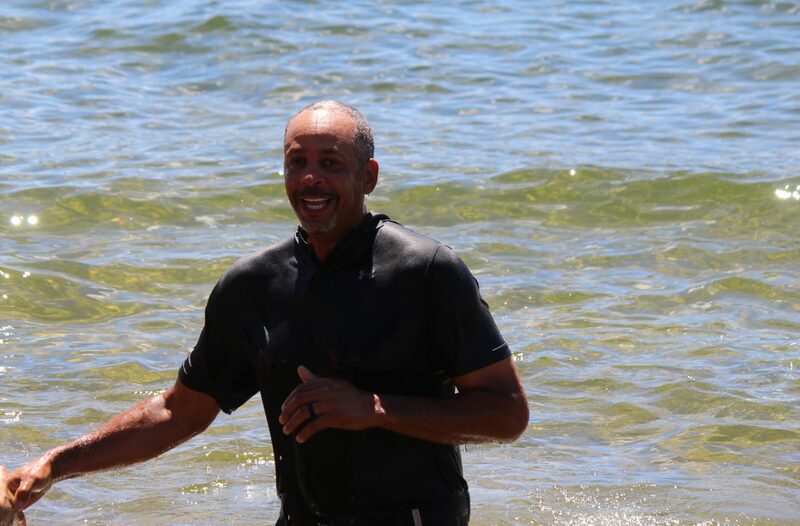 Dell Curry went for a dip in Lake Tahoe after losing a bet to his son at the 2017 tournament. 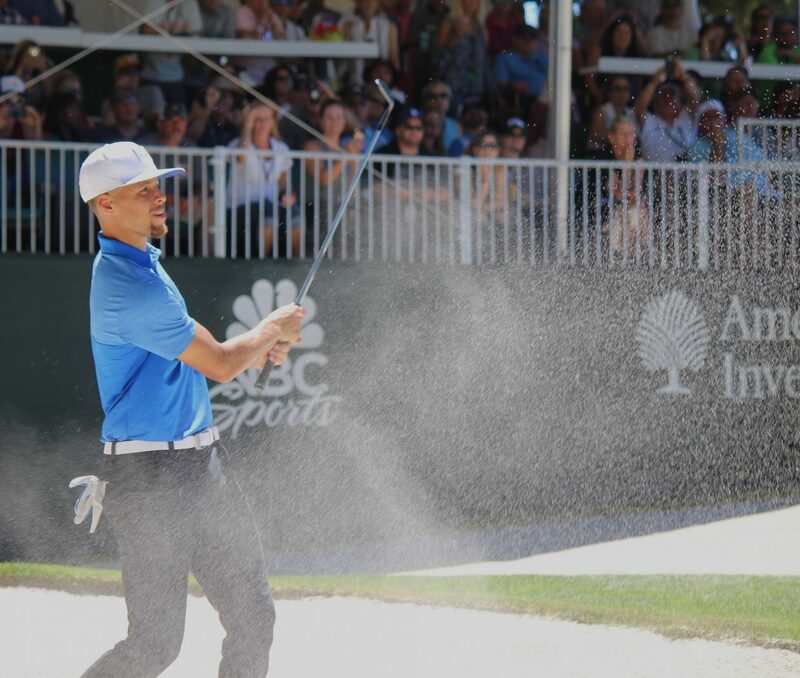 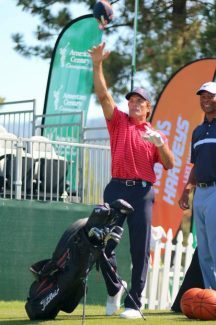 Steph Curry narrowly missed a pass from Tony Romo on hole 17.